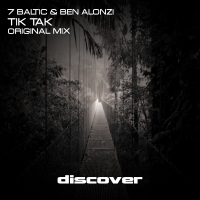 Ben Alonzi from Leicester UK, DJ Producer and Nu Communicate Recordings label owner is taking the international trance seen by storm with his euphoric trance productions and energetic DJ sets. Ben Alonzi has already played a long side some of the World’s biggest DJ’s Tiesto, Paul Van Dyk, Ian Betts, Dave Pearce, JFK, Genix at Clubs & Events across the UK Clubbing scene including “Passion”- The Emporium, “Leicester Friendz” – Turnmills, “London Fixation” & “Xstatic” – The Venue Nottingham ,”Massive” – Hidden London so you are sure to see the rising star from Leicester Ben Alonzi hit the decks in many more events here & abroad. DJ Producer Ben Alonzi’s productions have been supported by many of the world’s biggest DJ’s including Tiesto, Armin Van Buuren, Paul van Dyk, Above & Beyond, Ferry Corsten, Markus Schulz, Judge Jules, Eddie Halliwell, DJ Shah, Andy Moor, Matt Darey, Aly & Fila, Ernesto vs Bastian, Sied Van Riel just to list a few. Ben’s love of dance music has compelled him too launch his very own imprint Nu Communicate Recordings the home for the Alonzi solo production and collaborations. Nu Communicate releases the best Euphoric trance from established and new up and coming talent from across the globe.